Wes Anderson’s filmography reflects his ability to cast a veritable “Who’s Who” of modern actors. With folks like George Clooney, Bill Murray, Gene Hackman, Meryl Streep, Ben Stiller, Owen Wilson, Bruce Willis, Frances McDormand, Cate Blanchett and Gwyneth Paltrow, Anderson has recruited a truly stellar roster of performers. Yet with all that talent, Anderson’s movies fail to do much at the box office. 2014’s The Grand Budapest Hotel turned into Anderson’s biggest “hit” but it still managed a mere $58 million in the US. The film became easily Anderson’s biggest success overseas, though, where it added $103 million. For comparison, 2012’s Moonrise Kingdom snared $45 million US but brought in only $22 million elsewhere. I’m hard-pressed to explain why Budapest so strongly outgrossed Anderson’s other films, though perhaps its more international feel helped. 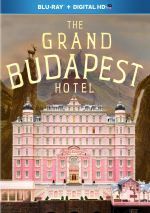 Set in the fictional “former Republic of Zubrowka” – which we learn sits “on the farthest eastern boundary of the European continent” – the film takes place mainly in 1932, where we meet a Monsieur Gustave (Ralph Fiennes), the concierge at the luxurious Grand Budapest Hotel. He runs the place in a polished manner – and also beds many of the guests, including elderly Madame D (Tilda Swinton). When Madame D dies, Gustave inherits a priceless painting – and the wrath of her angry son Dmitri (Adrien Brody). Rather than risk a fight over the artwork, Gustave steals it and a mix of wild complications ensue. New hotel lobby boy Zero (Tony Revolori) comes along for the ride and learns from his mentor. As I noted earlier, Anderson’s films feature many well-known actors, and that becomes especially important because Anderson depends on them more than many other directors might. Anderson tends toward heavily character-based projects, so it becomes paramount that the actors bring the most they can to their roles. Unfortunately, Anderson usually favors a heavily deadpan feel for his characters, so the actors often seem trapped in monotone performances. I get that this is the “Anderson Style”, but it becomes tedious and reached its nadir in the leaden Moonrise Kingdom, largely because that film combined the deadpan style with amateurish acting. Teens played the movie’s leads, and they couldn’t display the talent to overcome Anderson’s semi-oppressive stylistic choices. Despite their affected nature, I’ve mostly liked Anderson’s work, but Kingdom threatened to be the breaking point. His self-consciously twee and cutesy style brought increasingly diminished returns, and the drab performances at the heart of Moonrise made it less enjoyable than its predecessors and forced me to wonder if Anderson had entered the realm of self-parody. With its heavily stylized, artificial air, Budapest comes with the usual Anderson conceits, but it does vary the acting style to a degree. We still get some deadpan work, but instead, most of the performers favor a more theatrical feel out of the 1930s/1940s films that inspired Budapest. The actors find varying levels of success, but when Budapest entertains, it does so almost entirely due to one person: Fiennes. He channels the 1930s/1940s time period in an uncanny manner and overrides the limitations that usually come with Anderson’s work. Even with the more emotive acting on display, Fiennes manages a full-bodied performance that delivers comedy, pathos and drama in strong measures. If Budapest offered something of a more comedic Grand Hotel with Gustave at the core, it might’ve been one of Anderson’s more charming films, largely because of Fiennes, as the movie does fly when it lets him do his thing. Unfortunately, Anderson burdens Budapest with a myriad of subplot that do little more than complicate matters and distract from the tale’s strengths. It goes down a mix of winding paths, few of which prove to satisfy. Fiennes remains such a delight that the movie still mostly works, but it loses steam as it goes, largely because Gustave loses time in the spotlight. When it focuses on its lead, Budapest entertains, but it strays from that path too often to become more than an erratic piece of work. 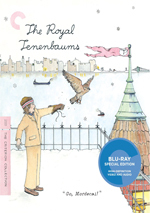 The Grand Budapest Hotel appeared in an aspect ratio of approximately 1.85:1 on this Blu-ray Disc – or so the box claimed. In truth, the film came with multiple aspect ratios and used 1.33:1 the majority of the time. Significant 2.35:1 material also appeared, while we found just a few 1.85:1 elements. Both the 1.85:1 and 1.33: material showed windowboxing, though this seemed more noticeable/severe in the case of the 1.85:1 shots. The quality of the visuals tended to depend on the aspect ratio, as the 2.35:1 shots tended to be the weakest in terms of definition. Those showed somewhat weak sharpness, whereas the 1.33:1 elements came across as more concise and accurate; the latter could still be a little iffy during interiors, but they worked fine most of the time. No issues with jagged edges or shimmering occurred, and I noticed no edge haloes or print flaws. Colors tended to be warm and lush. The hues reflected the period setting and the movie’s self-conscious attempts to hearken back to cinema of the mid-20th century, so the tones looked full and rich much of the time, with occasional chillier elements on display. Blacks were dark and dense, while shadows seemed smooth. The softness was enough to make this a “B-“, but the rest of the image seemed positive. With its heavy character emphasis, the DTS-HD MA 5.1 soundtrack of Budapest didn’t come with much ambition. Music became the most active element, as the score filled the five speakers in an active manner. Otherwise, effects tended toward a low-key presence; a few shots added a little movement/activity, but the film tended toward subtle material most of the time. Audio quality worked fine. Speech seemed distinctive and concise, without edginess or other problems. Music fared best, with lively, full tones, and effects showed good accuracy and clarity. Nothing here impressed but the track fit the film. A handful of extras fill out the disc. Bill Murray Tours the Town goes for four minutes, 17 seconds as the actors shows us around movie locations. This stands as a pretty insubstantial piece, but Murray makes it reasonably fun. Three Vignettes occupy a total of nine minutes and include “Kunstmuseum Zubrowka Lecture” (2:47), “The Society of the Crossed Keys” (2:50) and “Mendl’s Secret Recipe” (3:13). “Zubrowka” shows a slideshow/lecture from the movie’s author character, as he documents the world pictured in the film, while “Keys” concerns the organization of that name seen in the movie, again with narration from the author. As expected, “Recipe” teaches us how to make a pastry. These become unusual but enjoyable promotional efforts. Next we get three Promotional Featurettes. Under this banner we locate “The Making of The Grand Budapest Hotel” (18:08), “Cast” (3:24) and “Wes Anderson” (3:46). These offer notes from Murray, writer/director Wes Anderson, producer Jeremy Dawson, director of photography Robert Yeoman, production designer Adam Stockhausen, property master Robin L. Miller, and actors Edward Norton, Owen Wilson, Ralph Fiennes, Tony Revolori, Jeff Goldblum, Tilda Swinton, Saoirse Ronan, F. Murray Abraham, Bob Balaban, Jude Law, Willem Dafoe, and Jason Schwartzman. We learn about story/characters, cast and performances, inspirations/influences, sets, locations and production design, cinematography and varying aspect ratios, effects, and Anderson’s impact on the shoot. All the segments exist for promotional reasons, so expect a lot of happy talk along the way. Still, we get a mix of decent notes and shots from the set, so the programs have their merits. A Stills Gallery presents 40 images. These give us shots of props and production elements from the film. I expected the standard assortment of bland photos, so this fun collection came as a pleasant surprise. In addition to the film’s trailer, we get promos under Sneak Peek. This area includes ads for Dom Hemingway, Searchlight 20th Anniversary, MGM 90th Anniversary and 3 Days to Kill. When The Grand Budapest Hotel succeeds, it does so due to the talents of Ralph Fiennes, its lead actor. 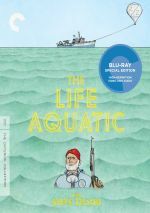 Unfortunately, writer/director Wes Anderson submerges Fiennes’ skills too often for the result to be consistent. The Blu-ray comes with decent picture and audio as well as some minor bonus materials. Fiennes makes this an enjoyable film but it still falters more than I’d like.